How much are Callaway AeroBody C4s selling for these days? I'm not sure how many were made and they don't seem to be easy to track. I saw Callaway C4s for even as low as $10K price. So not that much more than a normal C4. But not the Aerobody cars. Mainly the 1987-89 cars it seems. I know the Speedster are high up in price since there were only about 10 made. But I'm talking the normal AeroBody coupes. I saw an expired 2018 list on Ebay for a 91 Aerobody coupe for $52K. But I'm not sure it sold for that and it was a convertible. So I would think it's more expensive than the coupes. Then I saw an old Craig list for one for $6k. 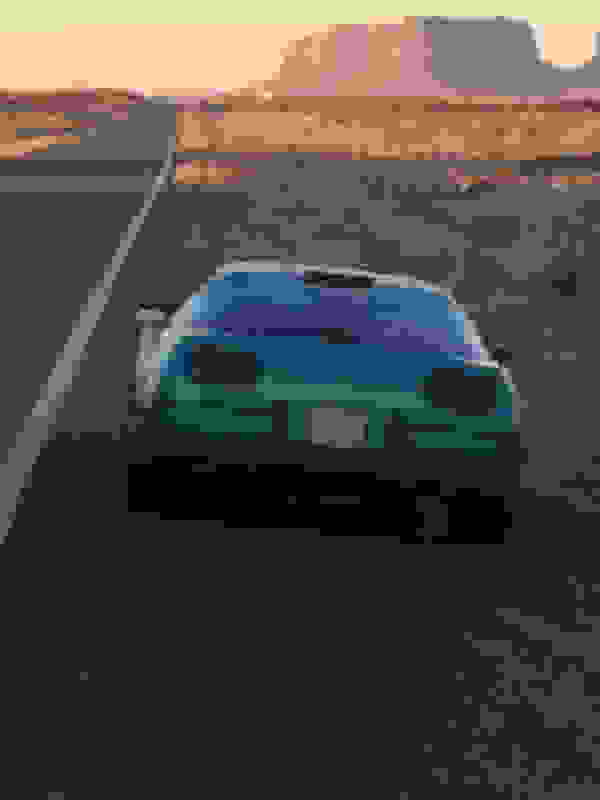 But this one may be just a car with the AeroBody. So not easy to track prices down. Reason I'm asking is because I like the look a lot. But given the extreme high price for a new kit from Callaway, I'm considering other venues to get one. Interested to know how much a whole car would cost used. I saw a full kit sans light lenses and mounting brackets sold on ebay this year for only $3250. But I doubt they come up very often. So I'm also considering replicating the kit myself. The good thing about building the car instead of buying an original Callaway is that if I do end up building it, I will probably go all the way and build a Speedster clone. But that depends how much the Aerobody cars sell for. It might not be worse going through the expense and trouble of replicating the kit depending how much the originals sell for. At any rate I'm positive the kit can be done for way bellow the quoted price of $18K for a new one. And at least I will have easy replacements if somebody hits me. I can only imagine how much a replacement nose costs if you get into an accident with your Aerobody. I saw only the front lenses being quoted at $1k in an older thread here from a couple of years back. And that was when a full new kit was quoted at $8K and a fully installed and painted kit quoted at $15K. I think this was in 2014. Now just the kit more than doubled in price. So a nose with lenses is probably close to $5K! If I replicate the kit I will also not be afraid to drive it and be hit. I can actually enjoy the car. Last edited by Zak2018; 11-02-2018 at 03:57 PM. Price depends heavily upon condition. I do not know of any 1989 stock body Callaway's which have sold for under $25k which were not wrecked. Now, for the rest of your statement about replicating the AeroBody. The design is intellectual property. Replicating it would end up costing you a lot more than a bunch of fiberglass. We've been down this road with a contractor before. It did not work in their favor. So you don't like the price of $18k for the unpainted body, I wish it were less or could be produced for less. But it can't. not for the quality one would expect. We also do not sell individual pieces. Just the whole kit. And replacement parts are sold to only documented owners. Now this might come off bit gruff, and maybe it is. I mean, you came to this site, asked questions, and when you say you don't like the price, you suggest "stealing" a design. Not cool. Chris, stealing the design would be if I would claim it to be my design. It would be more like a tribute car. There are several of these types of cars. Also, I would not make it for sale. I would make it for myself only. But at this point it's just a consideration. If I find an used kit such as the one which sold for $3250 a few months ago I would surely go with that. It's not a matter of not liking the price. It's a matter of not making sense to put a $18K kit on a car which is worth severely less than that. It makes no financial sense. As for intellectual property, designs such as cars have a 25 years life. This is now expired. This is the reason anybody can replicate KITT from Knight Rider, the Batmobiles from the TV show and from the 1989 Michael Keaton movie and neither NBC or WB can do anything about it. They can't call it Batmobile. But they can surely make and commercialize the kit. Same with Countach replicas, DB5 replicas etc. It's not illegal to make a replica. But like I said, I have absolutely no interest in selling it. It would only cheapen my own car and the original Callaways. I have too much respect for Callaway for that. And it would not even be worth it cheapening the car for such little money as nobody would pay much for this kit anyway at this point. Believe me, if I was some millionaire I would hunt down a Speedster. If I had enough money to spare I would just buy the $18K kit and put it on a $15K car. But this is not the case. I can't justify that. Besides at this point it's all just speculation anyways. I might also just make a design which is inspired by it rather than 100% accurate. At this point is just an idea. Sometimes I think about getting a ZR-1 and be done with it. Other times I think about getting a standard C4 and do a LS swap and build from there. This is just another idea at this point. This one is for sale for 30K. ∆ This car is about 10 minutes from me, took a look at it at the end of summer. It’s a real nice ride. From what I have seen this is the range non AeroBody Callaways seem to be selling for. No. it did not sell. It was RNM in the auction. But that just means nobody is willing to pay more for it at this point. One can list a car for as much as he wishes. But the real market value is the price buyers are willing to pay for it. I saw a 1987 Callaway selling for under 15K somewhere online for example. Last edited by Zak2018; 11-03-2018 at 08:06 AM. Did you "miss that" or are you not clear on how auctions work? eBay is arguably one of the biggest marketplaces for vehicles, but how many actually sell "on" eBay? I have sold a few vehicles on and off eBay. It's been good exposure, but rarely closed a deal using the site. An example of this was a car I sold (old muscle car) which got a "high bid" and RMN @ $50,000. Had several messages through eBay's "offer" system for about the same. But also got a call from the ad, and closed the deal at $59,000. Having let the auction expire at a RMN (for $50k), you might argue that's "the price", which it wasn't. Another car I sold (Ford Sedan), most were selling for under $10,000, and if I lumped mine in with the poorly kept examples, I could have settled. But I got $16,000 for mine. That one, I closed the deal locally, but came from the eBay listing. Now, back to the dark red B2K you referenced as "selling for $15k", which you "missed" the RNM. Does the dealer have other offers in the background? Was there no real money last week, or whenever the auction ran? In other words, was the ad noticed? 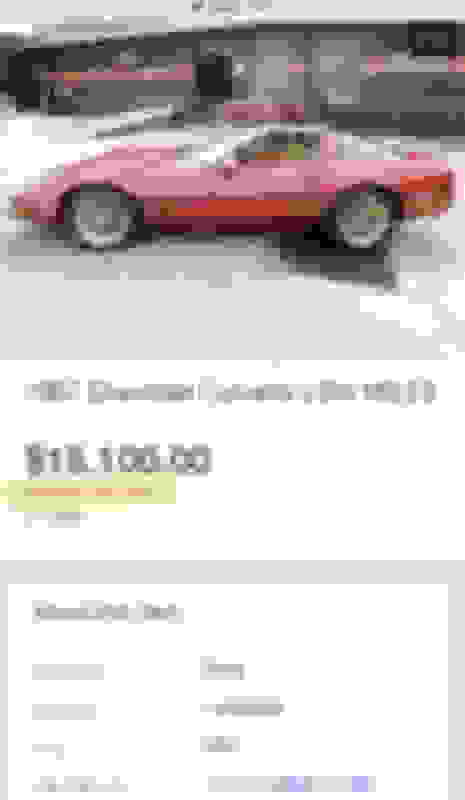 The real price isn't far off from $15k for an 87 coupe, and those wheels are not helping. It's probably a $19k-$22k car. 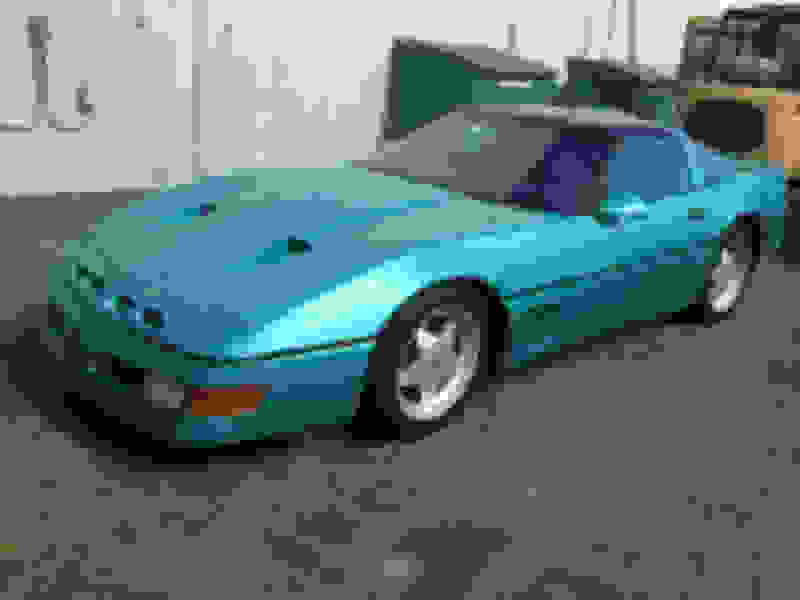 I'd have to see it in person to see if it needed anything typical of a 32 year old C4. But to say, as you have, you saw an 87 selling for under $15k, as if that's the price on all, is just silly. 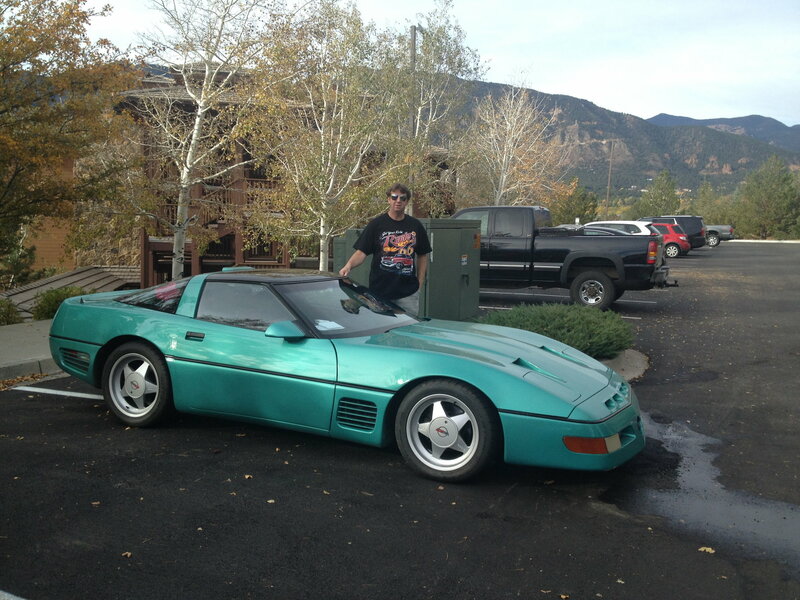 It would be like me showing you the 1988 coupe which sold for ~$65k and then the next month, flipped for $75k. Nice profit, and well sold, but not the barometer for ALL 1988 B2Ks. I know of two cars (both 1987 models) which sold for under $15k. and both needed work. Good news, is the B2K is like any other C4 for the majority of parts/consumables, so maintenance is straightforward. Last edited by *89x2*; 11-03-2018 at 10:28 AM. I missed it. Didn't see it. Didn't pay attention to the fine print. But to say, as you have, you saw an 87 selling for under $15k, as if that's the price on all, is just silly. Excuse me, did I say that? Did I say $15K is the price on all? Can you read? Did you read my opening post? I specifically mentioned I saw prices at both ends of the spectrum, high and low, which made it difficult to gather an average. If you have an answer to the actual question in the opening post, why not post it instead of a rant about nothing. For the record I have zero interest in C4 Callaways without the AeroBody. I was looking for exactly the same as you, however, my choice was for either a 1987 or 1991 with Aerobody for personal reasons. This made it even more difficult as the Aerobody wasn't originally available on the '87 - so it had to be an original callaway with the Aerobody fitted. Finally found one (1987, also had Callaway wheels), cost me more than it would USA residents as I have to ship it to Australia, pay duty, import taxes etc. There is a 1991 Aerobody for sale here in Australia for A$170,000 to $180,000! The lowest I'd let mine go would be for a number close to US$55,000. 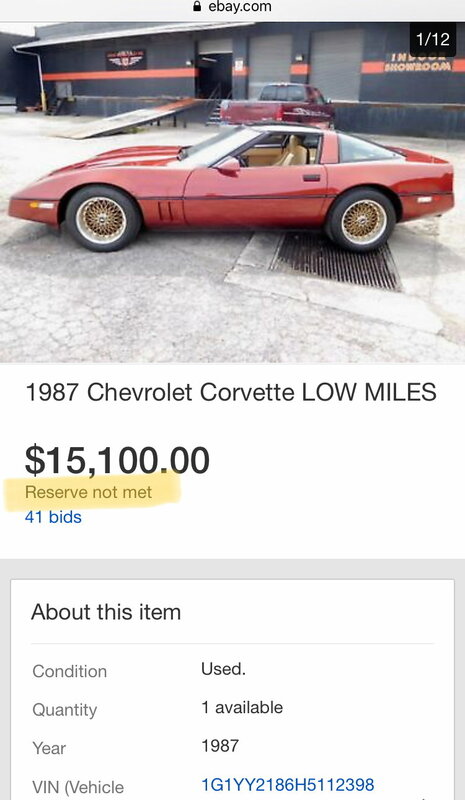 So you're looking for desperate seller with a C4 Callaway with Aerobody......quite a difficult task indeed! Last edited by puzzigully; 11-03-2018 at 07:22 PM. So you bought a 87 and had it shipped to Callaway to fit the AeroBody? It would be interesting to see if he will get the 170K he is asking for his car. Excuse me, did I say that? Did I say $15K is the price on all? Can you read?. You stated you “saw a 1987 Callaway selling for under 15k somewhere”, which was a pretty broad and uninformative statement. Where did you see it? What configuration? Condition? Or was this another eBay auction that didn’t meet reserve? The guy chasing that kind of $$ wont get it. Last edited by puzzigully; 11-03-2018 at 07:20 PM. Wow, you were lucky then to find just what you were looking for. In these 4 years, did you see the prices climbing a lot? Although your car is a specific case and hard to judge as normally 1987 models don't come with the AeroBody. P.S. Post some pictures of it if you can. Last edited by Zak2018; 11-03-2018 at 07:27 PM. Same site has 4 other callaways' - not one under $65K!!! Have to think these are top end cars? Good quality ones wont be less than 1/2 these prices (you'd expect) - so maybe good ones are now well into the $30K's? 91 sold in August. Check out the driving video in the listing. Last edited by Bobby Simone; 11-04-2018 at 12:08 AM. omg that is awesome !!!!! Last edited by henryr; 11-04-2018 at 11:10 AM.